Welcome to the SF Bay Boat Rental and Marine Services website! 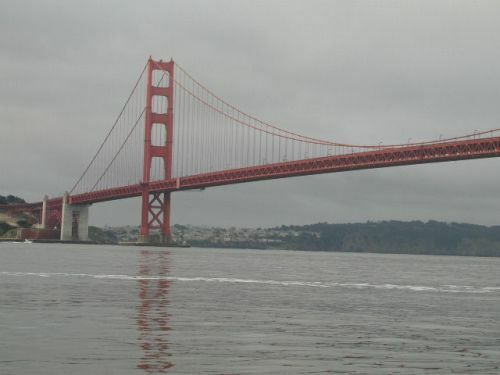 Our goal is for you and your friends or colleagues to have the ultimate experience on the San Francisco Bay. Whether your interest is fishing, bay tours and exploration, scientific studies and research, or just plain cruising, you have come to the right place! We are the only San Francisco Bay based company providing rentals of both the legendary 17 foot Boston Whaler, AND the incredible 21 foot Boston Whaler with covered cabin. Both of these boats are well maintained and are equipped with revolutionary E-Tech motors. We also offer the powerful 40 foot Webber's Cove boat, the "Kansas City". Our marine film and news service is available 24 hours a day, 7 days a week for breaking news on the San Francisco Bay. We offer marine transport to Anchorage 9 or anywhere else in the San Francisco Bay, and specialize in the South San Francisco Bay waters! Thank You for taking the time to vistit our website and feel free to drop us line anytime at 415-336-4765.